Outside In Movement is proud to announce their first official camping festival is taking place this year during the Fall Equinox! 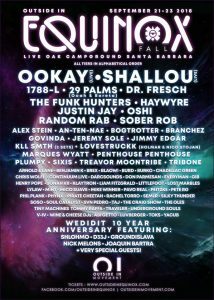 Featuring amazing talent and minds from all over the world in music, art, spirituality, health, science and technology, OI Equinox is a celebration of change at the apex of seasonal shift. Check out the official music lineup! Featuring 4 unique stages with world-class lighting and sound including ‘The Dome’, OI Equinox offers up a unique and extremely talented roster of live acts, DJs and bands. In addition, we will announce the numerous speakers, workshops and activities planned for the festival throughout the month of August. Outside In Movement is a cultural initiative open to all. Lucidity Festival will be collaborating in the production of the workshop environment, ensuring that education and healing is offered as an integral part of this camping weekend. Use the code LUCIDFAMILY to get a discount! 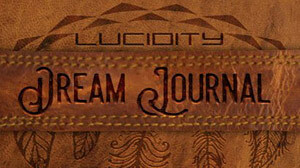 Find out more about Lucidity Collaborative Events and how we can help you with your next event.